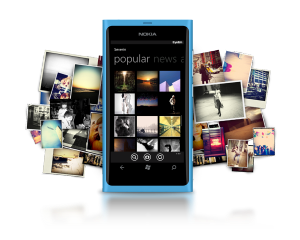 As per latest news related to Instagram it has been announced that the Instagram might implement the idea to advertise on its popular photo sharing network on Windows 8 Platform. It is estimated that there are over 160 million monthly users of Instagram and the numbers are growing with each passing day. Because of this reason it was acquired by the most popular social media portal that is Facebook at the cost of $1 billion and it was seen as a move to counter the attack faced by rival Twitter’s Vine Service. Curiosity for Instagram can be judged from the fact that Nokia even launched an app called #2instawithlove earlier in this year so that customers can have a feel of the instagram and related applications. You can even upload photos from the inside of your stores and products that you want to showcase. In fact you can also show your latest collection of clothes and accessories over Instagram to create more interest and surprise for the user and customers and hence increase your business to a new level. The concept of increased brand engagement is new but it is fast catching up with the masses and helps you to build a stronger relation with your customers and helps increasing the loyal base of customers that can also help your company to grow by the word of mouth publicity. Hence the recent announcement from Nokia about the launch of Instagram on its windows 8 based smart phone is seen as a very smart move as more and more business houses are showing their eagerness to launch their products and brands with the help of Instagram. As all of the smart phones come with an advanced cameras and hence it is very easy and convenient to click photographs and direct upload it on your instagram profile. Moreover, you can also incorporate various other social media platforms and concept with your Instagram profile. It is seen as the most cost effective and efficient way of social media marketing and Nokia is trying to capture this market with this launch. All of these above mentioned facts are enough to clear doubts about Nokia’s launch of instagram on its windows 8 powered devices and smart phones.